Fire up on the requests for TOUCH MY HAND on the radio stations! Check Radio & Charts tab or Archuduties below for the numbers and sms format. Call or sms during 10am-1pm (DJ Moots) and 4pm to 8 pm (DJ Natalie). Listen to Fly Fm’s Most Wanted Chart from now onwards – Touch My Hand hasnt been introduced yet so look out for it. Once it has debuted on MWC – get ready for LOVE IT/SHOVE IT. Check the site for the sms format. Vote for ALTNOY on MixedUp20! Musiqtone Poll : VOTE HERE! Top Rated MTV: Vote here! 1. Favorite American Idol Runner-Up. 3. U.K.’s favorite D.A. song in concert. 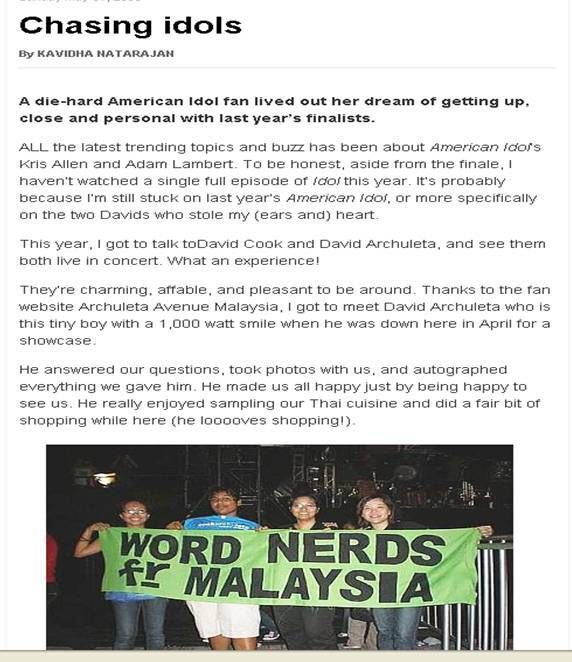 Read the rest of her story at The Star! 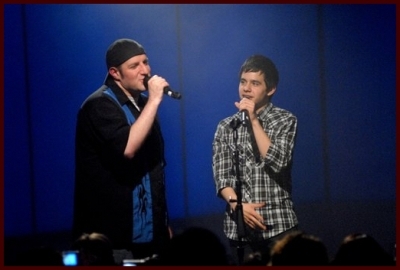 David was really belting it out and rockin on stage! I think Kevin Cronin ( lead vocalist ) had to um..grab the mic back LOL! 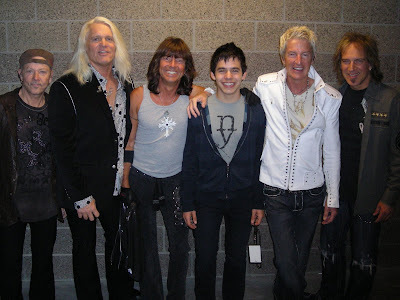 David and Kevin Cronin. A generation apart maybe but when there’s a meeting of the musical soul with two worlds spinning together the result is beautiful music! Last year’s “American Idol” runner-up, David Archuleta, achieved success with his debut release, and this summer, he’ll be hitting the road with Disney Channel favorite Demi Lovato. 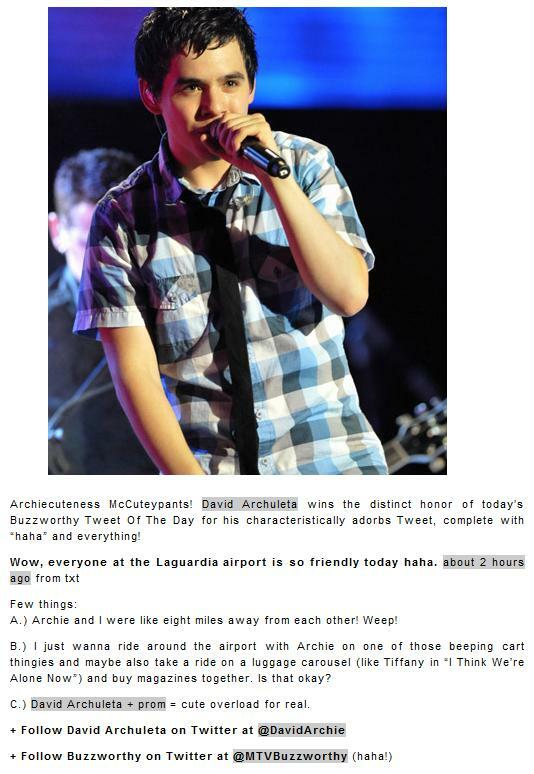 Archuleta’s become a big fan of hitting the road and its adventures, which found him reuniting with his good friend, “Idol” winner David Cook. Chatroll tonight @ 11.30 PM! See you all yo! by Jennifer Barry! Click HERE to download them! Last night TWIST hung out with David Archuleta and he told us how excited he was to start touring with Demi Lovato next month! Demi called David last night and they talked about how they are both going to buy blenders to make smoothies together while on tour! “I’m so excited. I can’t wait! 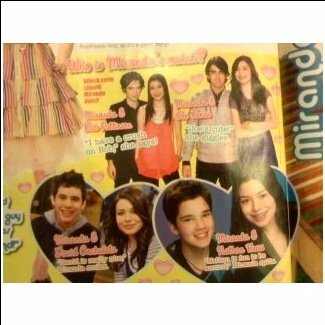 It will be fun hanging out,” David told Demi. After they hung up, David talked with TWIST about how much he loves Demi’s music. “I think she is so talented! She has a really good voice and is a great songwriter.” David and Demi are definitely going to hang out between shows. 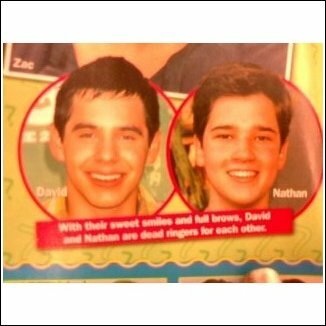 “It’s just cool to be able to go on tour with someone who is talented and your age,” David told TWIST. Are you excited for David and Demi’s tour? 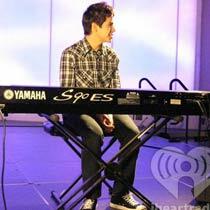 David Archuleta performed a special Z100 Lounge show at PC Richard & Son Theater in NY on Thursday evening. 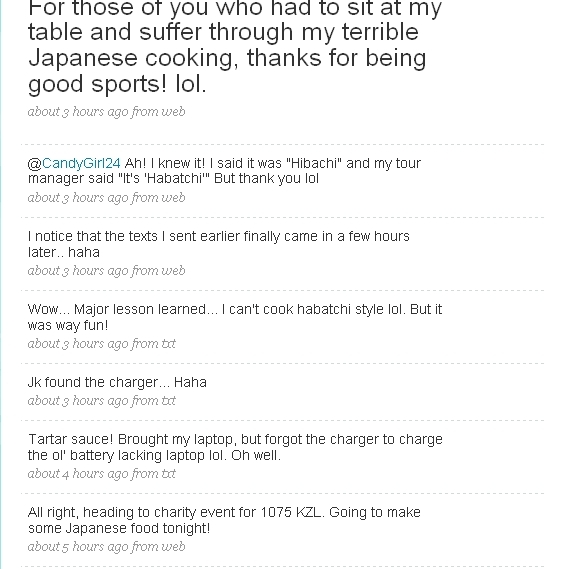 David tweeted from the event: On stage in New York talking about lettuce with the fans haha. About to sing the last song now! Gotta go back to the performance now! Tonight was a way fun show. Felt really casual and comfortable. Thank you Z100 and you NY fans! I think I’ll get some shut eye now. Be sure to catch David on tour this Summer with Demi Lovato starting June 21st! Vote for ALTNOY on MixedUp20!! 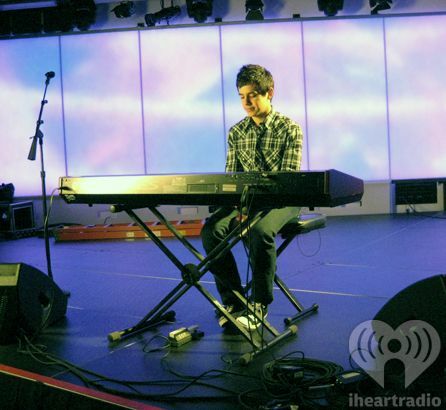 David performed for fans who won through Z100 station and did a bunch of interviews. Onstage interview videos from StarryNites01. Click the link for videos of the performances. The Season 7 American Idol runner-up played an intimate concert to some adoring New York fans Thursday night. 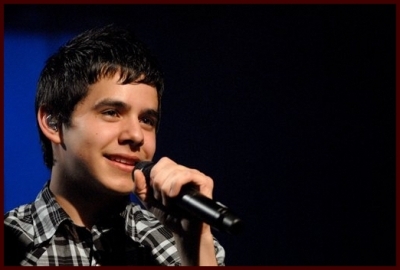 It doesn’t quite seem like an entire year has passed since he was standing on the American Idol stage awaiting his fate, and David Archuleta will be the first to tell you that he can’t believe how far he has come. The American Idol Season 7 runner-up delivered an endearing performance to a small group of screaming fans at TriBeCa’s P.C. Richard & Son Theater in New York Thursday night, and although he’s 18 now, you’d never know it from his innocent, child-like demeanor, pleasant disposition and a personality that would have you swearing he had never uttered a curse word in his life. He began his set singing songs from his self-titled debut album – “Touch My Hand,” and “A Little Too Not Over You” – which everyone in the audience not only knew every word to, but also felt the need to capture on their own personal video device. It was a true mark of the age of the audience, as each teenager was quick to the draw with his or her personal flip-cam, cell phone cam, digital camcorder or other similar video-capturing device. Certainly the ‘tween blogosphere will be abuzz tomorrow with footage from the intimate concert. 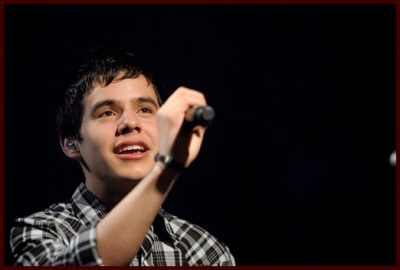 He also wowed the crowd with two sincere cover songs on the piano, Vanessa Carlton’s “A Thousand Miles” and Robbie Williams’ “Angels.” It was evident in these selections that Archuleta not only has a real command of his pure, almost angelic voice, but also that he is a talented musician who knows exactly where he belongs. 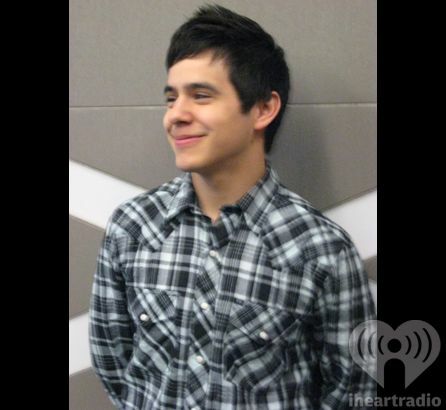 Archuleta has been quite successful since he lost the American Idol crown to David Cook. His first single, “Crush,” was released in August 2008 to overwhelming success – debuting at number 2 on the Billboard Hot 100 which made it the best debut in 18 months. 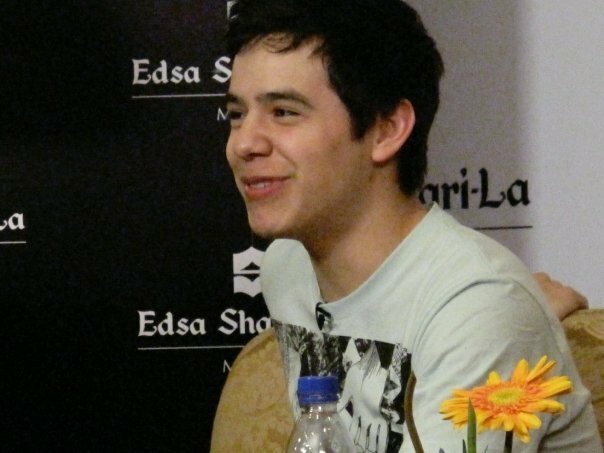 He finished the concert with the obvious favorite, leaving the audience of screaming, David Archuleta t-shirted fans wanting oh, so much more. 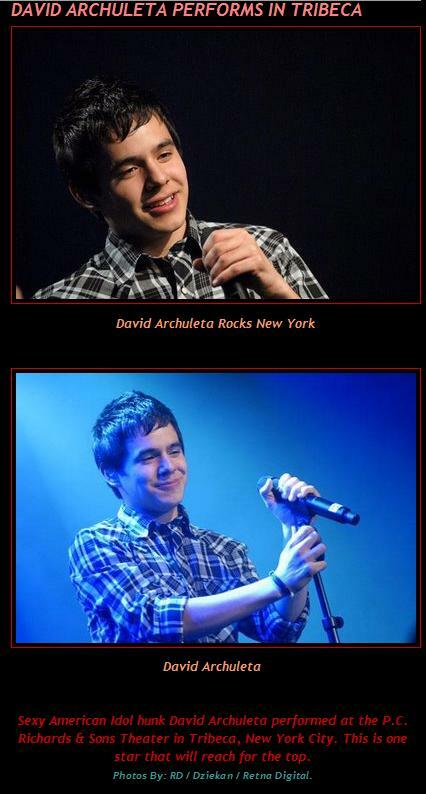 David Archuleta is on tour with Demi Lovato this summer. 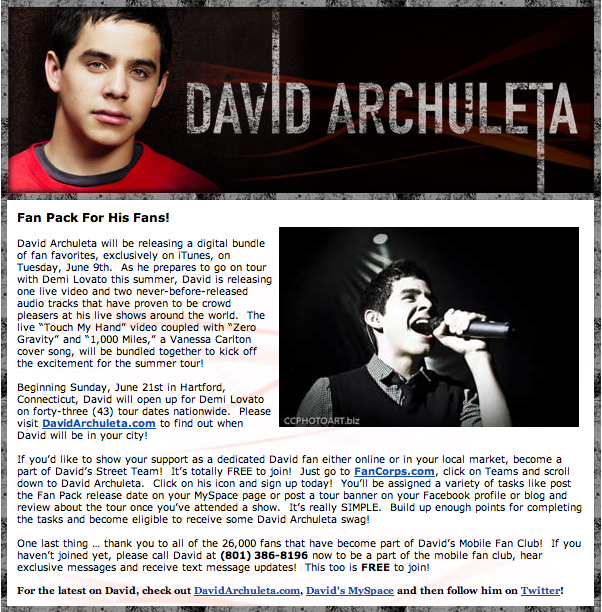 Fan Pack For His Fans! 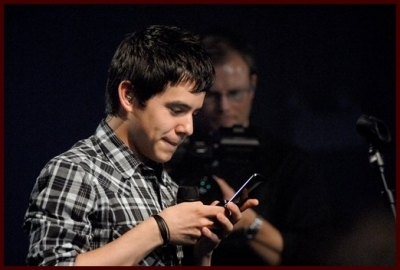 David Archuleta will be releasing a digital bundle of fan favorites, exclusively on iTunes, on Tuesday, June 9th. As he prepares to go on tour with Demi Lovato this summer, David is releasing one live video and two never-before-released audio tracks that have proven to be crowd pleasers at his live shows around the world. The live “Touch My Hand” video coupled with “Zero Gravity” and “1,000 Miles,” a Vanessa Carlton cover song, will be bundled together to kick off the excitement for the summer tour! Beginning Sunday, June 21st in Hartford, Connecticut, David will open up for Demi Lovato on forty-three (43) tour dates nationwide. 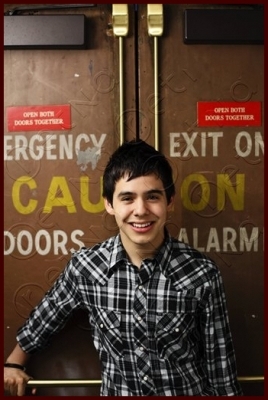 Please visit DavidArchuleta.com to find out when David will be in your city! 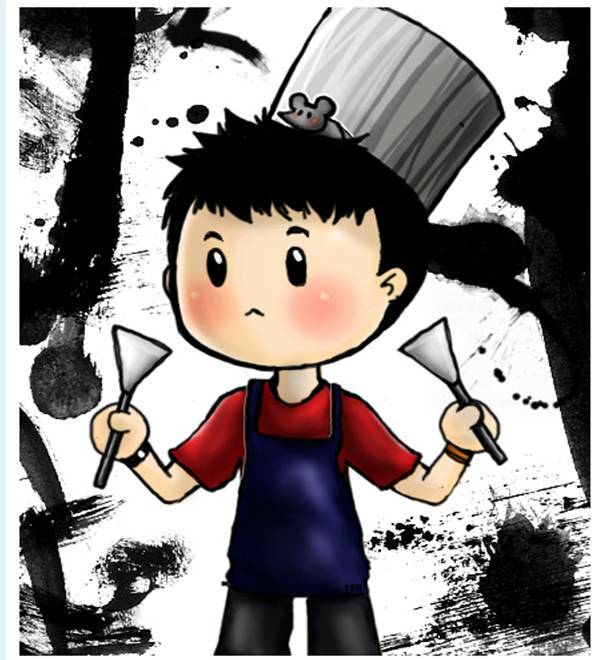 If you’d like to show your support as a dedicated David fan either online or in your local market, become a part of David’s Street Team! It’s totally FREE to join! 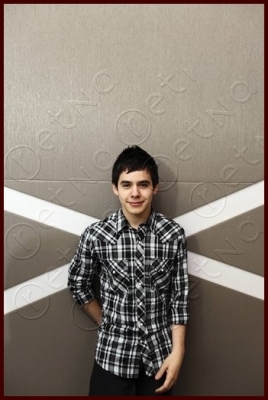 Just go to FanCorps.com, click on Teams and scroll down to David Archuleta. Click on his icon and sign up today! You’ll be assigned a variety of tasks like post the Fan Pack release date on your MySpace page or post a tour banner on your Facebook profile or blog and review about the tour once you’ve attended a show. It’s really SIMPLE. 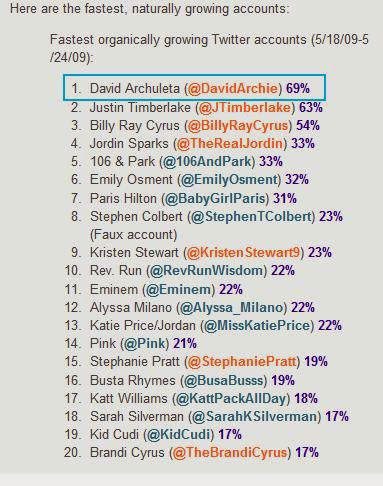 Build up enough points for completing the tasks and become eligible to receive some David Archuleta swag! 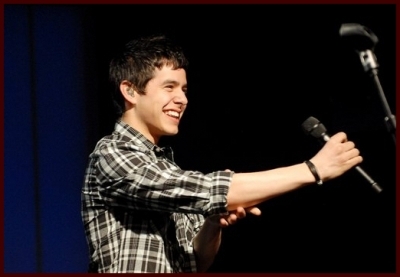 One last thing … thank you to all of the 26,000 fans that have become part of David’s Mobile Fan Club! If you haven’t joined yet, please call David at (801) 386-8196 now to be a part of the mobile fan club, hear exclusive messages and receive text message updates! This too is FREE to join! 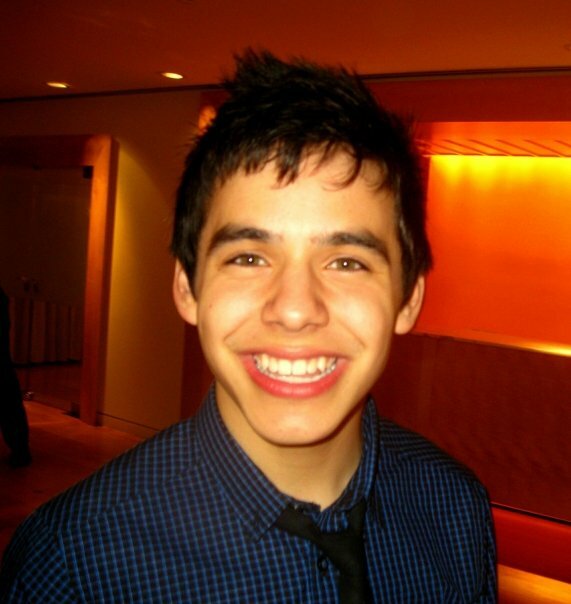 For the latest on David, check out DavidArchuleta.com, David’s MySpace and then follow him on Twitter! 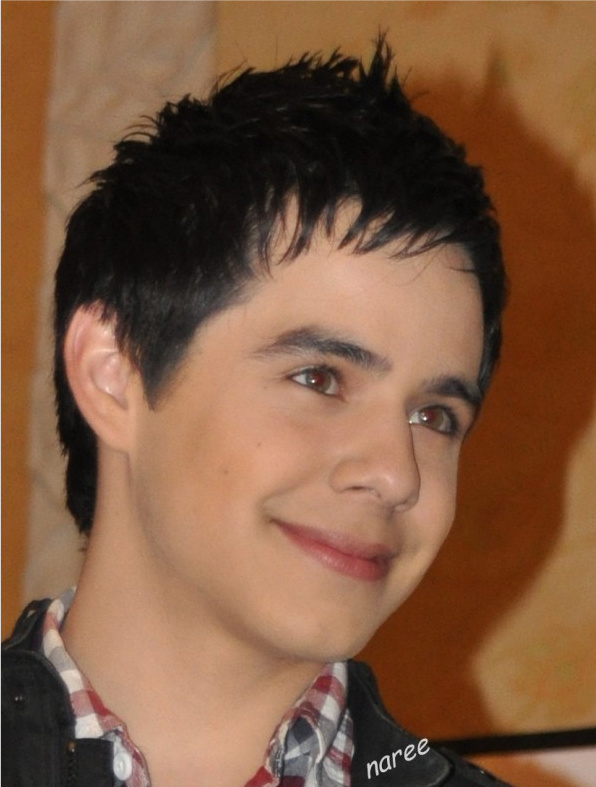 Also, Huong of David Archuleta Vietnam (hey, Huong!) informed us of their gifting program. Joyi from the U.S is happy to gift 15 TMH, 35 ALTNOY and 1 deluxe album for downloads on Itunes. So you are all welcome to leave your email address here (in the Comment section of this post) and we’ll try our best to deliver David’s music to you as soon as possible. Be sure that you’re familiar with downloading songs from Itunes. About the deluxe album, I’ll give it to an Archie who has the 1st – quality- recently made attribute video to David sending to me (read the post of Campaign “Bring David to Vietnam” below for more). Be sure that you don’t copy from others youtube videos on the internet. Thank you so much, Joyi. More pictures at 1075 KZL ! he is SO adddicted to twitter. 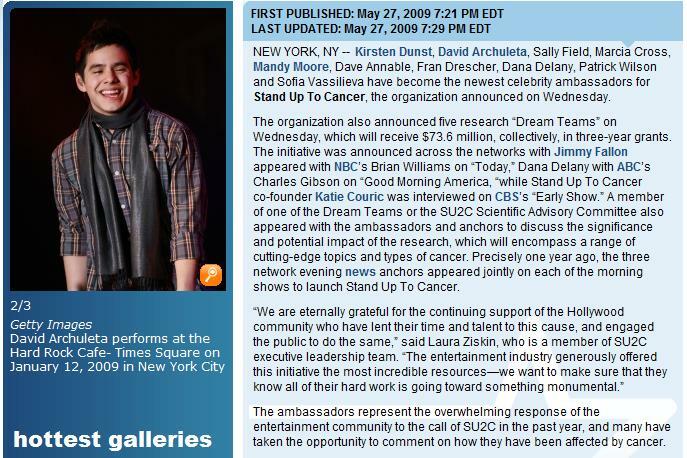 An all-star team of celebs will join Stand Up to Cancer (SU2C) and serve as a public voice for the organization. New members of the celebrity ambassador team include “Desperate Housewives” star Marcia Cross, actress Kirsten Dunst, “Brothers and Sisters” star Sally Field, singer Mandy Moore, “Brothers and Sisters” star Dave Annable, actress/author Fran Drescher, “Desperate Housewives” star Dana Delany, “Watchmen” actor Patrick Wilson, actress Sofia Vassilieva, and recording artist David Archuleta. Oh look!His hair is being featured too! 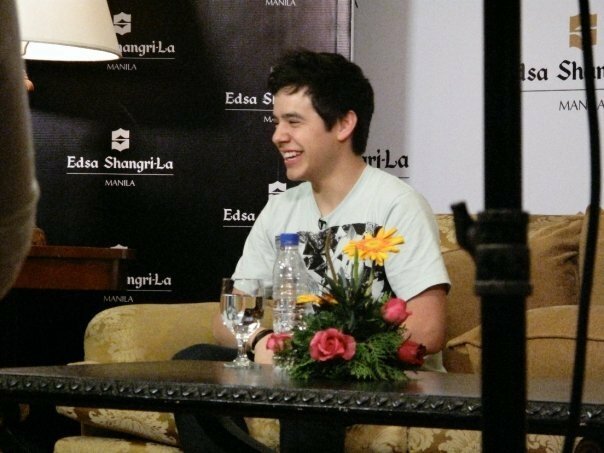 Stage presence did not come naturally to last year’s “American Idol” runner-up, David Archuleta. So now that he has a post-”Idol” solo career, one of the things he’s had to do is learn how to be a more dynamic performer He talked to us about how he’s struggled to find his groove and learn how to move. 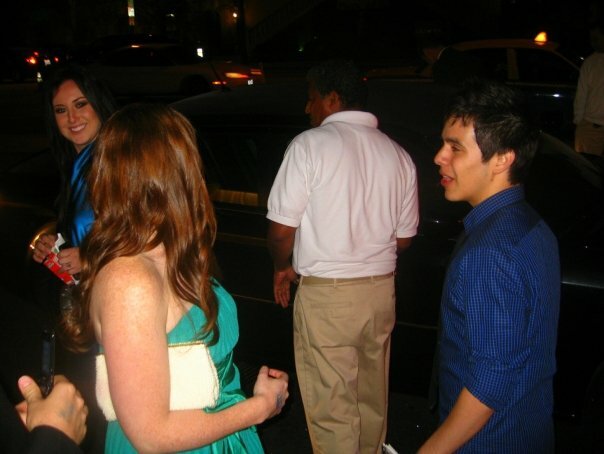 David drove himself to the event, accepted the check, smiled, clapped, had a snow cone – or part of one, ate nuts, signed a gazillion autographs, was adorable, took a gazillion pictures, texted, twittered, was sweet, sang Happy Birthday, made hundreds of people happy, shone, sparkled, glowed, pretended he remembered me, interviewed, handed out wristbands, signed to Julee MOM on my picture (thanks Brett! 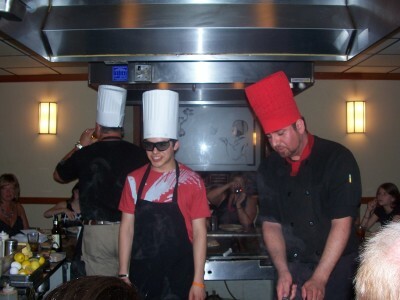 ), drank water, was little, was adorable, DID NOT KISS ANY GIRLS FOR THE FIRST TIME WITH OR WITHOUT HIS DAD PRESENT, acted like he wanted to be there whether he did or not, was a gentleman, was adorable, commented on Real Son’s height as well as squiggly pigs and his autograph, laughed, handled awkward situations like a pro, was a star, was adorable, supported MS, didn’t want to know how much his autograph brings at auction, DIDN’T KISS A GIRL – oops, already said that, radiated light which you can see in the video, drove off by himself when event was over. Not that I noticed any of these things. People told me it happened. Read the rest at Snarkys! Also, head over to this KSTU video for more behind the scenes, cheque presentation and chat with Fox13. Go to the end of the post for the rest! 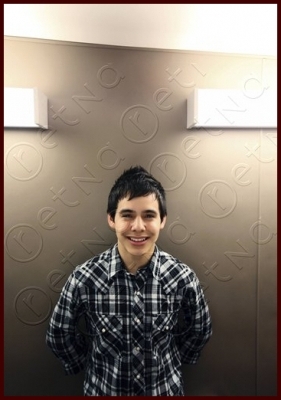 SALT LAKE CITY – David Archuleta, the season seven runner-up on American Idol, returned to Utah on Tuesday to present a check to the Multiple Sclerosis Society. 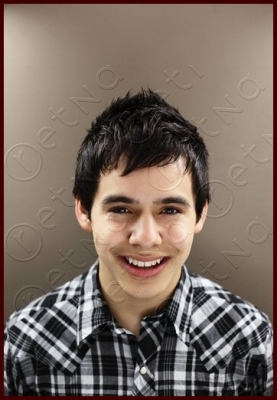 Archuleta worked with Cypress Credit Union, who helped raise some of the funds for the check. He said the society is especially close to his heart because he has a lot of friends that struggle with MS.
F O X 13’s Brett Benson interviewed Archuleta and also asked him about his future music career plans. 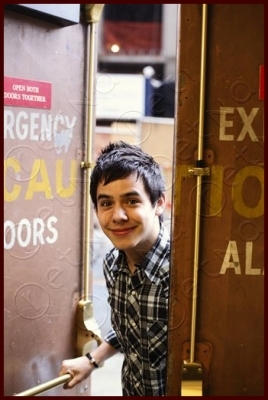 Before arriving in Utah Saturday, he performed in the UK and also in the Phillipines with American Idol winner David Cook. 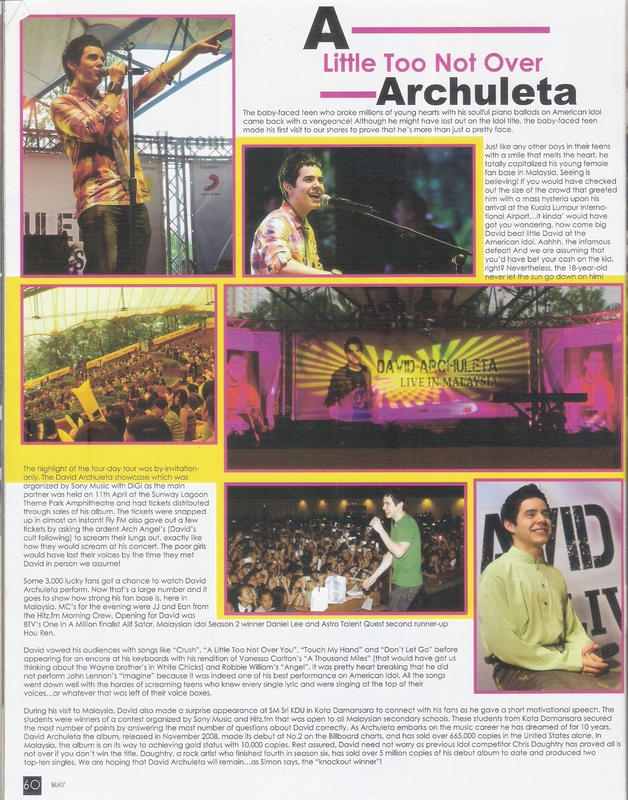 Archuleta said the Phillipines show sold over 52,000 tickets and thousands more outside watched the concert. 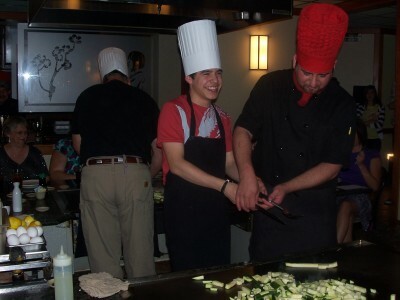 He also attended the American Idol finale. 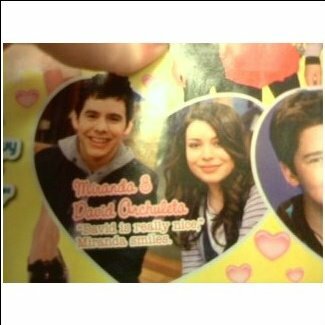 Archuleta is currently working on his second album and will be going on tour with Disney Channel star Demi Lovato next month. He also said that is still currently single. “It’s just crazy because there is so much going on, it’s hard to just focus on a relationship right now,” Arculeta said. I’ve also noticed that although Suggested Users dominate the fastest growing Twitter accounts, users are being selective, they are not choosing “all” and adding the whole entire roster. Suggested Users seem to have their fastest growth rate in new Followers in the second & third week after being added to the list. On Tuesday, David Archuleta, Murray’s “America Idol,” dropped by the West Jordan branch of the Cyprus Credit Union to accept a $50,000 donation for his charity, David vs. Goliath, dedicated to fighting Multiple Sclerosis. The young singing star supports dozens of causes, but finds working to end MS “touching,” because he has watched family friends live with the disease. The guitar sings in her hands and her voice cuts through the room. Her lyrics tell a story, spill out emotions, and confront the eccentricities of life. Kina’s ability to parallel the delicate nuances of her melodies with poignant observations on life, love and the many uses of pennies is superseded only by her transcendent voice, which rivals that of many of today’s popular musicians. 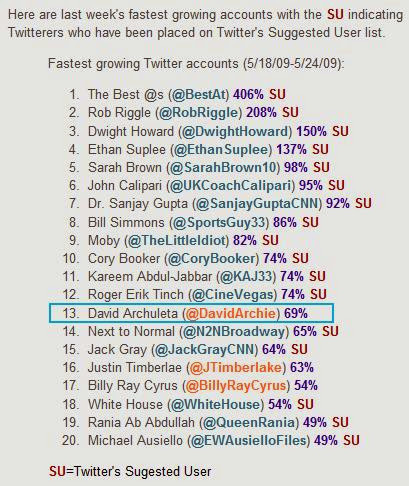 Archuleta’s fans were equally emphatic of his standing as best non-winner. 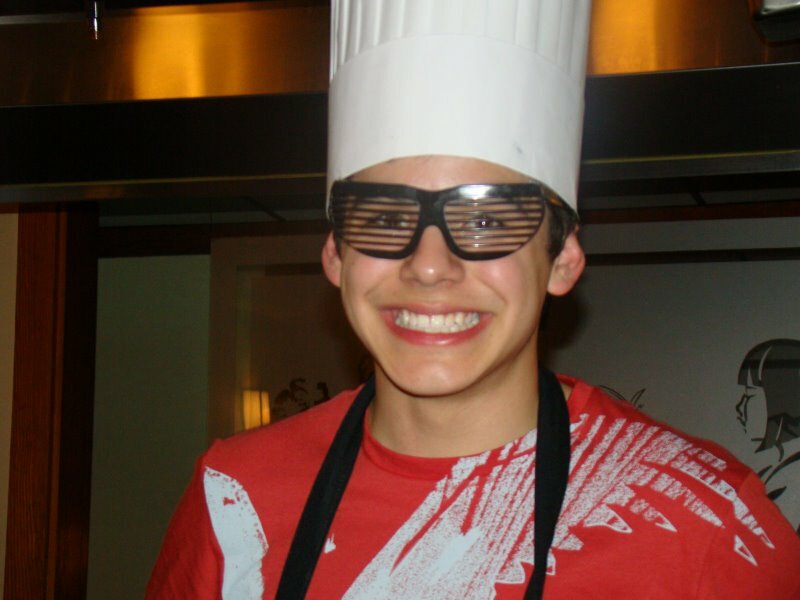 Terry, in fact, thought Archuleta was the best “American Idol” singer ever. “And he is a superstar now,” Terry said. 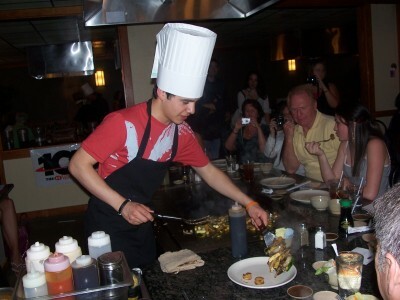 Archuleta’s debut album charted higher than Cook’s and has gone gold, and he’s about to begin a tour with Disney star Demi Lovato that will bring him to Wilkes-Barre’s Wachovia Arena on June 22 and Philadelphia’s Mann Center for the Performing Arts on June 27. 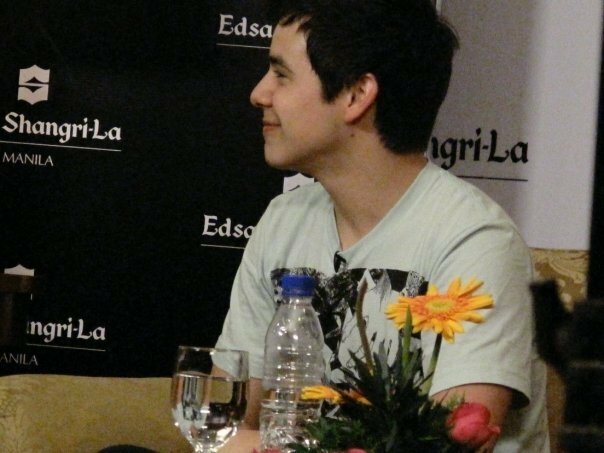 More than a week ago I together with a friend witnessed great performances of two of the freshest artists of this generation — David Cook and David Archuleta. It was a mixed of young and (a bit) older audience. 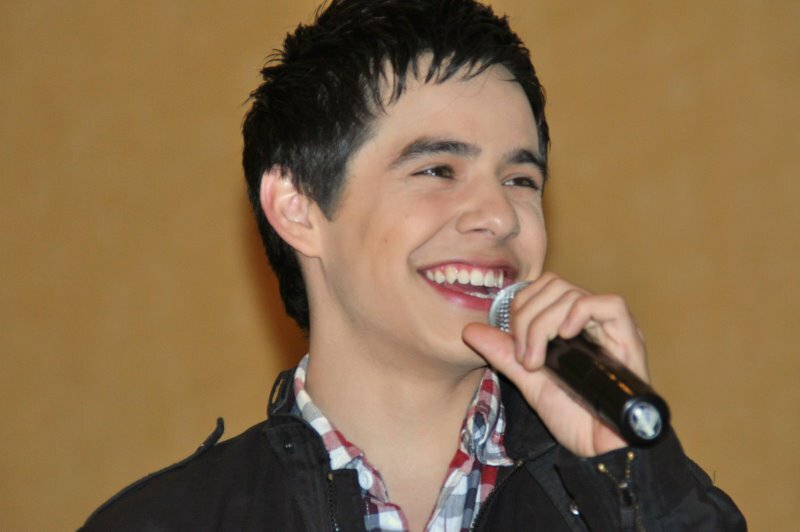 Teenage girls were screaming for the cutie David Archuleta while rock fans bobbed their heads to songs of David Cook. The two differs in the kind of music they play but are equally talented. These little gems keep popping up! 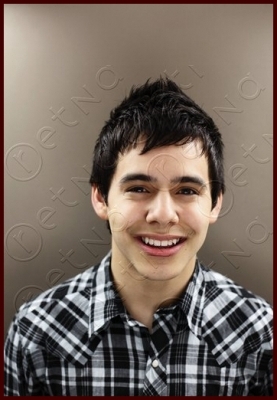 Musiqtone Poll; David Merchandise; Isn’t he gorgeous? ; Archuduties and more..
1. Everyone gets 75 votes per session and it resets every 12-24 hours from the moment you reach your limit so to ensure you can vote every day…please use up your votes in one sitting. 2. We’re raising the stakes. We have added the elimination chamber. Videos that receive the lowest votes will go into the chamber…no less than 6 will be in the chamber at any given cycle. It would be based on the number of new videos that enter The Count and how many will be considered “Middle of the Pack”. Videos in the chamber can either be eliminated immediately by choice of Musiqtone.com or within 3 cycles maximum by the vote. 3. If a new music video from an artist with an existing video on the countdown comes about during the cycle, we may choose to swap and retire their previous one with their new one or we can put it in like the others. It will be purely the choice of Musiqtone.com. 4. No music video can stay no. 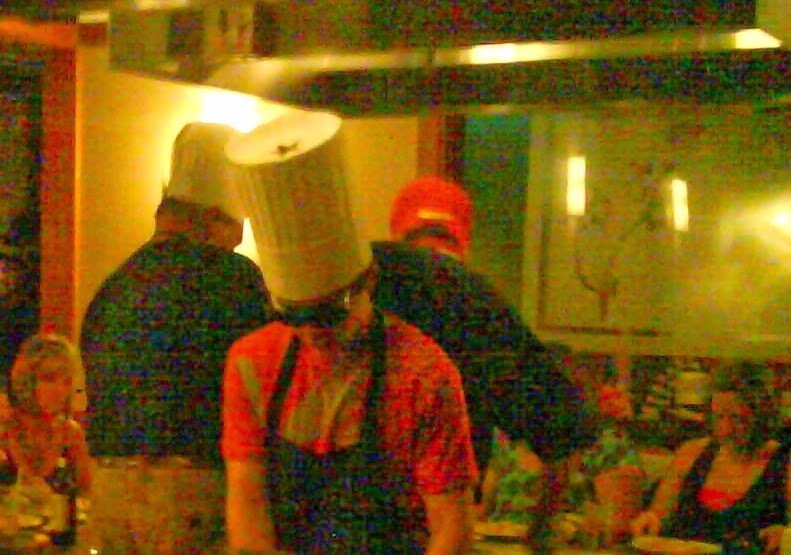 1 for more than 10 consecutive weeks or 14 non-consecutive weeks. Videos shaded in grey means the video is being retired. TM: Did you watch this season of American Idol? BC: I watched some of it, and I was surprised Adam Lambert didn’t win. 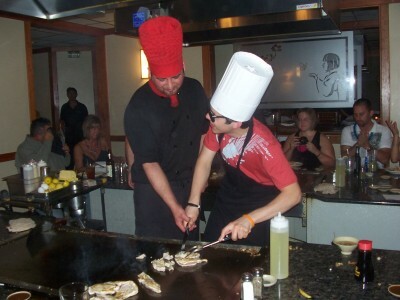 He’s so talented, but I think he seemed too dangerous to all those teenybopper girls. 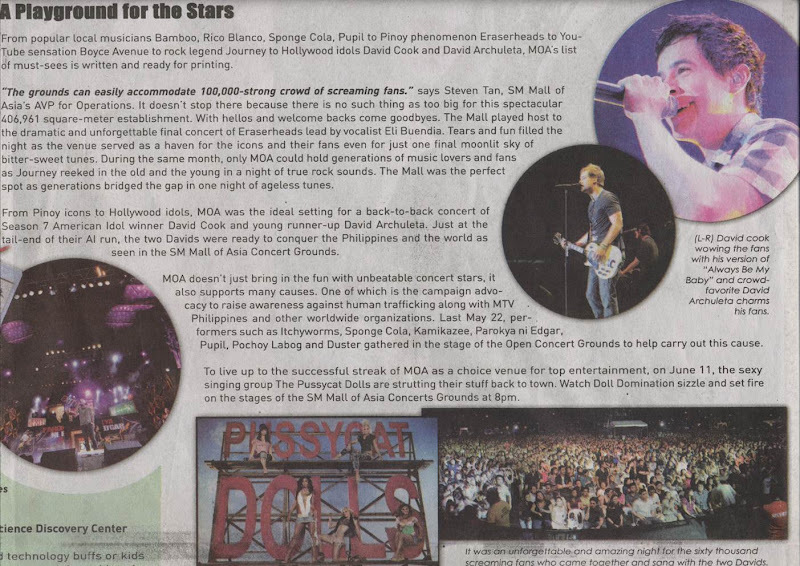 I can’t imagine that Kris Allen (who won) will have the same kind of career as Adam, who is already a star. You should go to YouTube and watch Adam sing “Come to Me, Bend to Me,” live; it’s so beautiful. 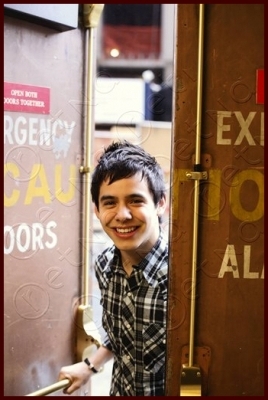 Last year, I loved David Archuleta; I think he’s a major talent. Not only does he have this gorgeous voice, but there’s such soul in his work. And what about Fantasia? She’s totally amazing. I saw her twice in The Color Purple and she made the show a hit. I’m thinking about seeing her in Washington, DC this summer; I’m trying to get some friends to go down on the train with me. Picture credits to Naree. See the rest of them at Snarkys. Jive canvassing songs for David? Taxi is the leading Independent Artist and Repertoire Company. Record companies, publishers, and music supervisors call them directly to find new artists and bands to sign. 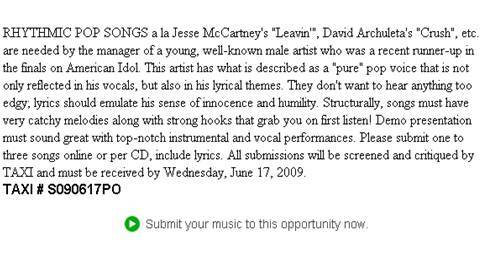 They also call to find hit songs, instrumentals and tracks for TV and film placements.